Brandstaetter: New Golf in "decisive phase." FRANKFURT -- Volkswagen wants the next Golf — its most popular vehicle in Canada — to become the benchmark in safety and connectivity, when the hatchback begins production in late 2019. VW is investing about 1.8 billion euros (C$2.7 billion) in the latest, eighth-generation Golf, the automaker said in a statement. 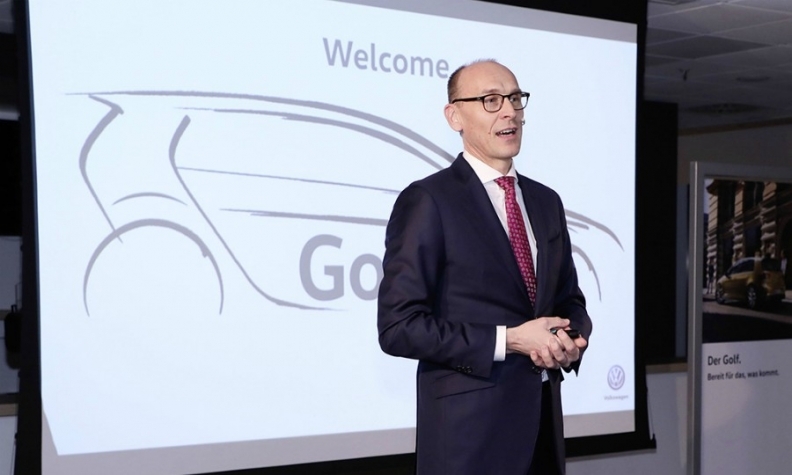 "With expanded autonomous driving functions, the next Golf leads Volkswagen into the era of fully connected automobiles," said Karlheinz Hell, responsible for VW brand's compact car family. "It will always be online and serve as the benchmark in safety and connectivity thanks to its digital cockpit and assistance systems." The Golf was the automaker’s most popular vehicle in Canada in 2017. Volkswagen Canada sold 24,604 of them last year, a 23 per cent increase over the 19,966 it sold the year before. In the United States, Golf sales rose 12 per cent to 68,978 units in 2017. The Golf is also Europe's best-selling car and a key model for VW. The new generation will face internal competition from VW brand's I.D. family of affordable electric vehicles. VW will start production of the Golf-sized I.D. battery-powered hatchback at the same time as the new Golf at the end of next year. It will go on sale in 2020 at a price comparable to a Golf diesel. The Golf will continue to be built at VW's Wolfsburg plant, where the automaker currently produces more than 2,000 units of the Golf family a day. More than 34 million have been delivered to customers globally since the model debuted in 1973. Golf sales fell two percent to 444,226 in Europe through November 2017, according to data from JATO Dynamics. The car accounted for almost a third of VW brand's volume. Its sales easily surpassed the 296,856 units achieved by Renault's subcompact Clio, Europe's No. 2 seller.